Ever been in a situation where you just can’t find the words to express how you’re feeling? It’s really frustrating, and it often leads to what the French refer to as “staircase wit,” that perfect response you think of while walking away. Thanks to a Japanese company called Neurowear, in the near future you might not have to rely on words to get your point across. At a promotional event in Tokyo on May 8th, the company unveiled a head band-like device featuring fuzzy, mobile ears. 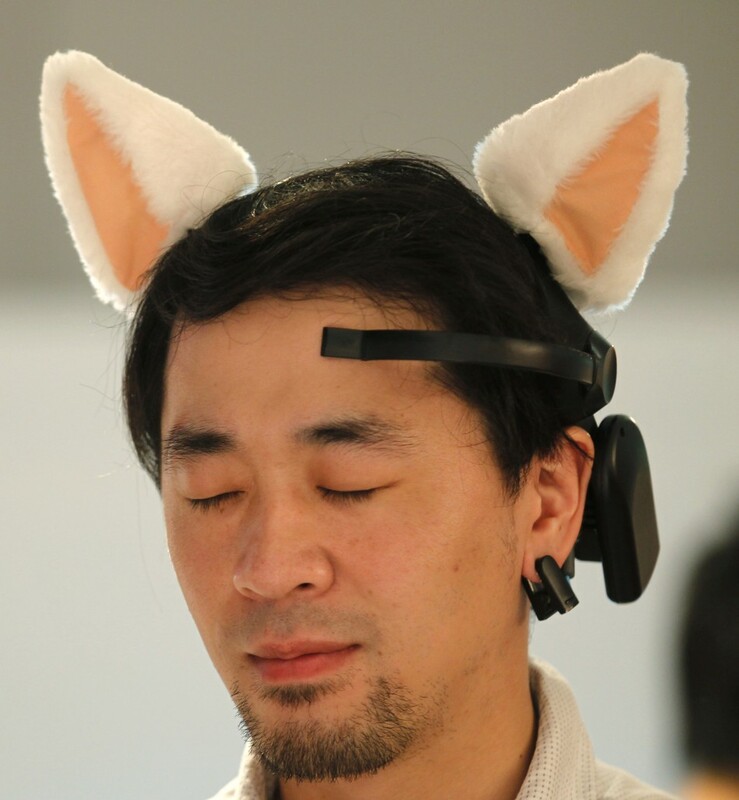 Neurowear claims the accessory, called “Necomimi” (a portmanteau of the Japanese words for “cat” and ear”), can reveal emotion by moving response to the wearer’s brain waves. How cool is that? Now you don’t even have to make a conscious effort to express yourself. A part of your outfit can do it for you. Upset with your boyfriend? No problem. Necomimi will lie back. Excited by the prospect of going to a concert? Necomimi will wiggle. Intrigued by a painting at your local museum? Necomimi will perk up. You’ll never have to worry about finding the appropriate words again! Okay, not really. Right now, the motion of the ears is mostly limited to relaying a message of intense concentration (the ears stand upright) and relaxation (the ears flop down). That’s hardly eloquence, but it’s still kind of neat. Novelty factor aside, I’m not sure there are many practical uses for Necomimi. But hey, with a gimmick this kawaii, do you really need practicality? There’s no word yet on how much the ears will cost, but you can be sure that they’ll be on every cosplayer’s Christmas list once they hit stores. In the meantime, if you’re still bent on finding a way to express yourself without words, you could always try a smile or a frown. Or if you’re into retro fashion, maybe a mood ring. Image by Reuters, via International Business Times.